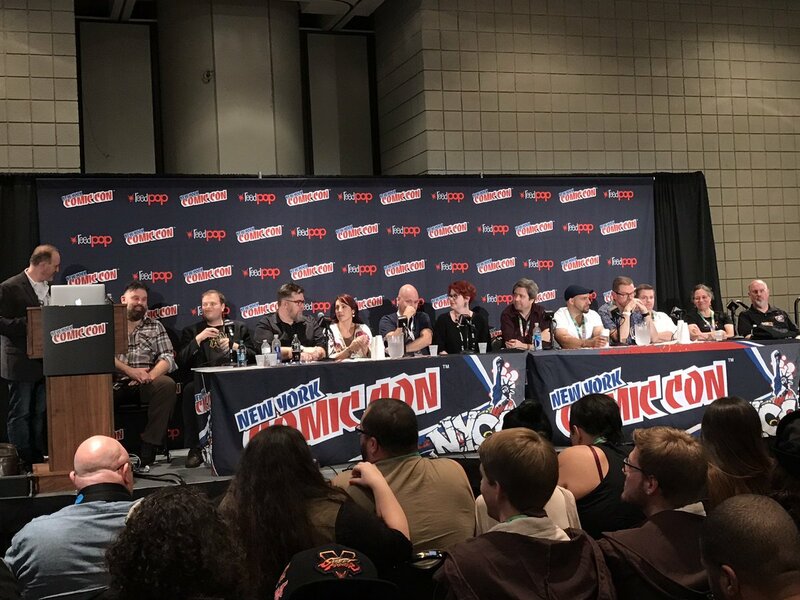 Earlier today at New York Comic Con, Lucasfilm hosted a special panel focused on their upcoming books and comics. 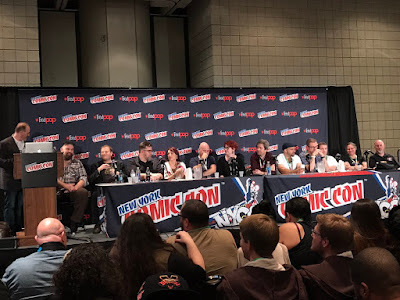 The panel was moderated by Michael Siglain, the creative director of Lucasfilm publishing, and featured eleven authors who had written Star Wars books and comics. The authors discussed their history with Star Wars and shared some behind the scenes stories about working on Star Wars. Below are my tweets from the panel. Ben Blacker says he desbribed a scene for his artist where Wedge is "covered in blood none of it his" and that he is in "berserker mode"
Which is why his story in FACPOV is about a stormtrooper who is obsessed with Dewbacks!